Hello Sprinkie Parties! I would like to thank you! I really loved the table. My daughter was amazed. Thank you thank you thank you!! Thanks Ili! We had a blast and Selma loved everything!! You guys always deliver and outdo yourselves all the time. Thank you so much Ili for assisting in the setup and decor of Gabriel’s 1st birthday. It was ahhh-mazing and exceeded what we envisioned. The whole look turned out really nice and matches everything that we got! Not to mention the vibrant colours that brightened up the entire space. Got a lot of good feedback about the decor / setup and the cake too.. Adored it! It was a pleasure working with you and will definitely recommend you to friends and family. Utmost faith and thanks! I would like to thank Sprinkie Parties and team for the wonderful work you’ve put in. From the beginning of my enquiry till the event day, the team has been very patient and responsive. There was no doubt, the end product was a superb presentation. Would also like to highlight that it was easy to communicate and liaise with Ili, the event stylist. The birthday lady definitely was surprised and everyone had a great time! The deco was complimented by a lot of guests. Thank you so much for everything. Everything was lovely, so pretty! Thank you so much Ili for the wonderful setup and delicious dessert spread and birthday cake! I know I’ve chosen the right party stylist right from the start! You have met my expectations and I’m super delighted. Our guests were mesmerised by your magic touch and delicious desserts and have asked for Sprinkie Parties’ contact too. May they bring more business for you! Wishing Sprinkie Parties continued success and may it prosper further! Hi Ili.. I would like to say thank you for accepting my last minute booking and answering to all my queries. My guests were in awe by the gorgeous decorations. My husband and I were very pleased with the whole setup.. It’s really gorgeous beyond words. 🙂 We made the right choice by choosing Sprinkie Parties for our baby’s 1st birthday decor after searching everywhere as not many can accommodate to last minute bookings, especially on the eve of Christmas. You guys did a splendid job! We will definitely engage your service for any upcoming events that we might have. Thanks Ili! Please accept my heartiest gratitude and thank you for the job well done. Everyone loves the set up you have prepared for us. It was fitting as my lil one is both mixed Arab and Indian. Do help yourself to the pictures of the event we took with the table decor via Instagram #onjuriduty or @juju.jnad. My family and I are most grateful and are impress with your services and professionalism. We do hope to engage you to our future events. Ili, thank you so much for the oh-so-pretty dessert table today.. I’m so satisfied and the cake is delicious.. Would definitely recommend you to my friends who need help in future.. Thank you so much for the beautiful decorations, desserts and cake. My daughter and I are very pleased with the decor and everything, it turned out better than we expected and had lots of compliments from the guests. I am so glad and thankful that we contacted you guys to help decorate for this special occasion. Lastly, I am so sorry for making you guys wait yesterday, and thank you for being very patient too. I’d like to say a big THANK YOU to Ili and Bert for doing 3 trips for my party: 1) coming down early in the morning to do venue decoration 2) coming back in the evening to set up the dessert table and to do some touch ups to the venue decorations and 3) coming back again an hour till midnight to do the tear down. You guys did such a fantastic job for my decorations that the first reaction I’ve gotten from my guests were, “WOW!” I’m very glad to have engaged in your services, because I definitely couldn’t have done anything like what you guys did. I can’t thank you guys enough for making my party such a success with my guests praising non-stop about the desserts and decoration, and for Ili to last minute add in a 2 tiered cake for my party under my request when it was 2 weeks left till the main event. You guys are so nice to work with, I wish you all the best and may your business continue to grow! I have heard about Sprinkie Parties on IG before and quite frankly, I was hesitant to get them or any party planner for this event in the first place because I thought I could manage all the planning by myself! Hahaha! But I am so glad I changed my mind and engaged Sprinkie Parties in the end because they was super duper helpful with the planning! There so many things that did not cross my mind and Sprinkie Parties helped highlight the stuff I may need for the party I was planning. By giving me suggestions and more input, NO, I did not think Sprinkie Parties tried to upsell or anything like that because they were SUPER ACCOMMODATING to what I really need than to what I want! This is a real plus point because there are those party planners who are really strict about sticking to the packages they offer without having a thought to compromise, cooperate and work together with their clients (I have been there, so I know!). So kudos Sprinkie Parties for being ever so accommodating while planning my daughter’s first birthday party! Especially with a fickle minded mommy like me, I think there are many times I changed stuff at last minute? Opps! I’m just so greatful everything went on smoothly Alhamdulillah. May the business of Sprinkie Parties continue to grow and thrive in success! In Sha Allah. Thank you for the exemplary services rendered throughout the planning stages till the wedding day itself. The team has showcased great professionalism, accommodating to last minute requests with diligence and allowed us to go through the wedding with ease. Thank you once again and we look forward to more working opportunities. Also would like to apologize for the accidental breakage of one your glass bottle due to the strong wind. Thank you so much for letting it go and returning the full deposit to us. We really appreciate it! May your business flourish even more in 2019 and hope to work with you guys again in future! Thank you very much for all the table set up! The party went well and it wouldn’t look any prettier without the tables, chairs and balloons! Love the whole candy colours theme and the tiffany chairs! The team is very efficient and serivce is definitely on point! Ili!!! Thank you so much for everything! Everyone loved the decor!!! And so did weee!!! Almost everyone was asking about the decor and dessert table setup. Thank you for everything! Hi Ili, thanks for everything! Everybody loved the banner and dessert table layout! The cakes and pastries were superb, please thank Spatula for me too. Will definitely pass recommendations! Thank you Sprinkie Parties for the amazing setup! Didn’t have to worry about a thing. It was so beautiful. Desserts and cake were yummy! Hi Ili, thank you for the beautiful setup yesterday. All the guests enjoyed it. Hi Ili! I almost forgot to thank you and your partner again! Hehe to be honest, the whole setup was so beautiful that everyone actually kept asking me about it. Kudos to you guys! Thank you for the service rendered. It was a pleasure to have Sprinkie Parties to be part of my daughter’s first birthday. Hi Ili! Thanks for the wonderful setup yesterday!! My guests love it too 😉 I recommended some of them to you cos they have babies turning one too hahaha and they asked about the table. I gave very good feedback! Thanks for rushing it out! Thank you very much for all your time & effort in making our baby Mayan’s birthday a memorable 1! Lovely setup! Hi Sprinkie’s! I’d like to give my heartiest THANKS to you and your partner for the perfect deco! It was a last minute plan for me to hold a mini gathering for my birthday, so I was really lucky I happened to see your account on Instagram. I then quickly emailed your team to engage your service! I couldn’t decide on a theme because there were too many pretty themes to choose from, so I just told you how I love the baby breaths and fairy lights for one of the decor you’ve done. I was abit worried about the outcome but on the day of the event I was so in love! Even my guests were in awe and were afraid to touch the desserts because they didn’t want to ruin the deco HAHA. It was perfect. I just wanted to say a huge huge HUGE thank you for creating the best possible decoration and service that I could have never imagined of. I’m so thankful that one day I was stalking Nurul Aini’s Instagram and came across your account. I was amazed by the decors that you had already done, and I was slightly confident that I had the least to worry about my representation. You did an amazing job, I can’t thank you enough. Everyone complimented the decorations and the exquisite detailing that you provided. I’m so pleased that I had contacted you instead of trying to do it all by myself. I don’t think I could’ve done anything like what you did. Also, my sincerest gratitude to your partner as well. I have probably passed around your website to everyone who left my house that day hahah. Once again, thank you and I can only say that you’ll be the first person I would have to contact in the future for any form of events. Thank you so much for the lovely decor. It was beautiful and the birthday girl loved it. We LOVE it too! A big THANK YOU to Ili and her team! The Dessert Table set up for my daughter’s 16th Birthday was perfect! We received so many compliments on how well it was done up. Ili is very friendly, approachable, experienced and extremely professional. Their supplies are also very unique and of high quality. The whole experience was fuss free, all we had to do was inform Ili our preferred theme and colour preference and everything was done perfectly! I highly recommend trying them out and I’ll definitely go back to them again for the next party! 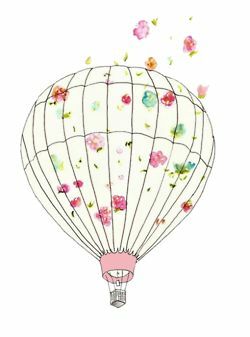 Event Theme: Up, Up & Away! Thanks for the lovely decorations Ili and team. It was a pleasure dealing with you and our guests were praising the decorations. Hi Ili, thank you so much for the beautiful deco and your wonderful service. Really contented with everything. Hi Ili! Share with you how happy Farhan was on that day… Hehe. Thank you once again for the beautiful setup! Have a wonderful Friday! Thank you Sprinkie Parties for the amazing dessert table! Helping me check out one of my to do list, and being so nice in helping me with every last min details! I really appreciate it. Really, really very super happy with the stunning backdrop and fairy-like setup feels by Sprinkie Parties, you really make my ideal deco come true! I really love it so much!! Ili, thank you so much for the lovely dessert table setup. It was a big hit at the party. All the kids (and adults) love it! Thank you so much for helping my bf to do up the proposal and ganging up for the surprise. It was really a very pretty set up. And also my bf said he likes your prompt response and friendly attitude. Look forward to your planning for our big day. Once again, sincere thanks for everything. Thank you for decorating up the place so nicely and the food were amazing!! Everyone said the cake was really nice and the deco was . I apologize for a few panic attacks, but you were so kind and totally accommodating, able to fulfill last min requests etc. Thank you for being such a sweetheart of a party planner! And thank your boyfriend too! May your business continue to prosper and receive many customers / business / events etc.